Learn an approach for properly engineering extruder screws and dies for processing PLA resins. The material properties will be discussed and the appropriate design criteria defined. Demonstrations will show how to apply the design criteria to perform engineering calculations for single screw extruder and flow channel design and optimization. The workshop will be taught through a troubleshooting approach in which poor designs are investigated and new designs are proposed, then verified empirically. It's been over 25 years since NatureWorks introduced Ingeo to the world, and during that time we've had to overcome a few challenges on our way to success. Working with a wide range of supply chain partners, industry experts, and NGO's across a broad spectrum of applications, we have gained a vast amount of experience and knowledge. This session will bring together experts in machinery design, additive development, and product certification to share first-hand what we've learned and provide their recommendations for optimizing your experience with Ingeo to enable success in across industries. Tim Womer is the President of TWWomer & Associates, LLC. He was the 2006-2007 President of the Society of Plastics Engineers and served on the SPE Extrusion Board of Directors for over 22 years including serving as a Chairman in 1999-2000. 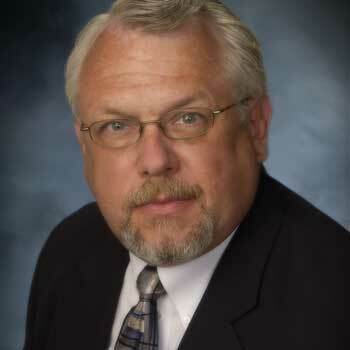 Tim is a recognized authority in plastics technology and machinery with a career spanning over 40 years; having worked for other companies such as Xaloy, Inc., Spirex Corporation, Conair Group and NRM Corporation. Tim has designed thousands of screws that have been used in all areas of single-screw plasticizing, such as extrusion, blow molding and injection molding. Numerous patents have been issued for his inventions of screws, mixers, processes and other products. In 2012, Tim was inducted into the Plastics Hall of Fame for his contributions to the Plastics Industry and is also on the Board of Governors for the Plastics Pioneers Association. Tim is only one of six SPE members to ever receive three of SPE’s highest awards which include, Distinguished Member, Honored Service and Fellows. Tim remains active in SPE by serving on the SPE Foundation Board and the SPE Awards Committee.